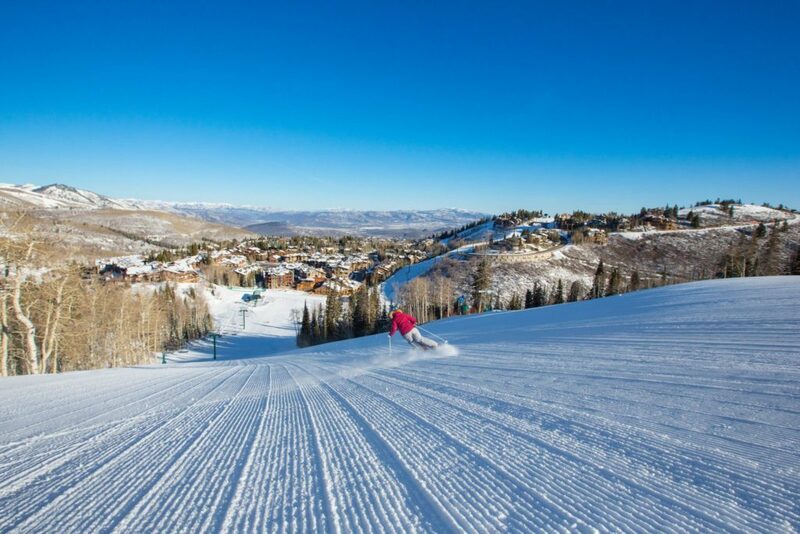 We’ve said it before and we’ll say it again—it’s not just the skiing that put Deer Valley Resort on the map. 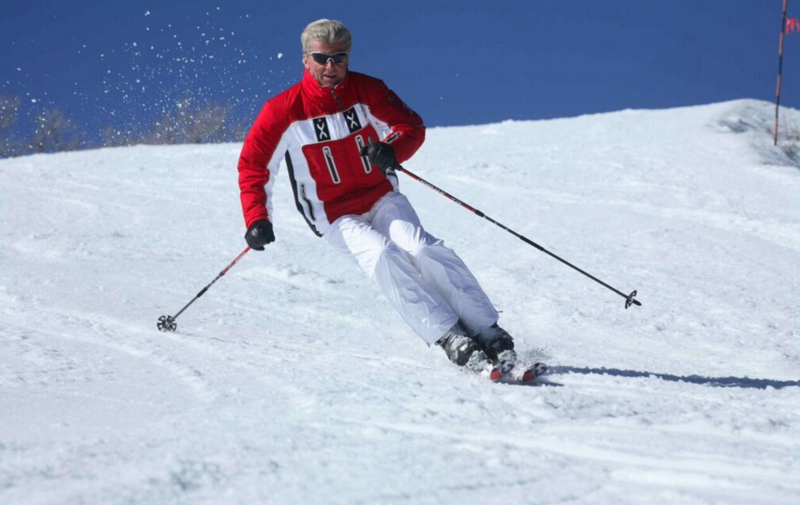 It’s known almost as much for its gourmet cuisine as its finely-groomed slopes. So what are the can’t-miss dishes while you’re visiting? It was tough, but we’ve narrowed it down to our 10 favorites, in no particular order. Bon appetit. Get your day started with the Lox Plate at the Deer Valley Grocery-Café. The Deer Valley Grocery-Café is located about a half-mile from the Snow Park Lodge, and its casual atmosphere is warmly inviting. Order at the counter and take a seat as your food is brought out to you. 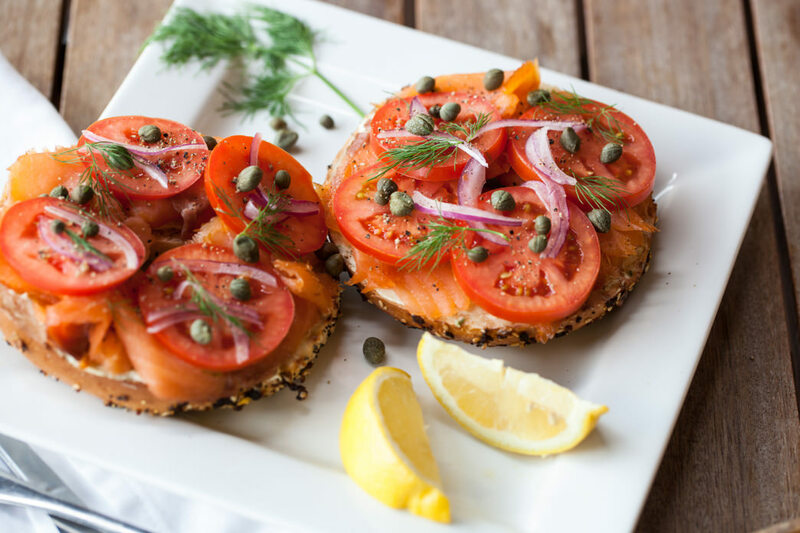 The Lox Plate is a perfect quick and fresh meal—a perfectly toasted, lightly buttered everything bagel accompanied by caper berries, pickled onions, micro greens, cherry tomatoes, and chive cream cheese. 2. Grab and Go from DV Etc. Are you in a rush to get to the fresh powder, but you still need some calories to fuel your day? Drop into DV Etc., Deer Valley’s sundries and gift store located in the Snow Park Lodge. They offer a selection of grab-and-go items like muffins and baked treats, snacks, and specialty coffees. Local tip: Warm up your gloves at the warming station while you sip on rich hot chocolate. 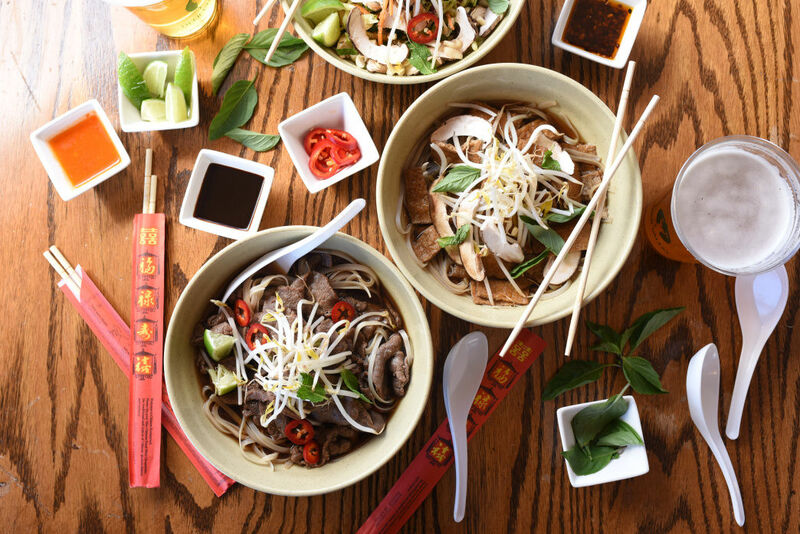 A warm bowl of Bald Mountain Pho hits the spot after a morning of skiing. There is nothing better than hot soup on a cold winter’s day. A few short steps from Sterling Express chairlift will land you in the Bald Mountain Room in the Silver Lake Lodge. Floor-to-ceiling windows overlooking the slopes take on a greenhouse effect during the day, creating a warm, yet airy feeling. Here you’ll find Bald Mountain Pho. The ginger-mushroom broth with thinly sliced Wagyu beef is the perfect way to recharge for the afternoon. Finish it off with as much hoisin, sriracha, and hot oil as your taste buds demand. The day lodges at Deer Valley are unique, as they are divided into smaller rooms that feature fireplaces and natural wood finishes, providing a rustic and cozy feel that makes Deer Valley special. Don’t expect to find your standard resort food here either, as everything is elevated. You’ll find decadent baked goods made fresh daily, like melt-in-your-mouth chocolate chip cookies the size of your face. One of the standout lunch options is the Natural Salad Buffet, which offers a wide selection of handcrafted options, like the Hipster Salad, which features red quinoa, maple butternut squash, baby kale, and dried cranberries topped with maple-orange vinaigrette. When it comes to après-ski, we count drinks as a dish. Wander into EBS Lounge, located slopeside at the Snow Park Lodge. Our pick is The Blinker, which features Sugar House Bourbon Whiskey, fresh squeezed grapefruit, and a dash of grenadine. It’s the perfect way to wrap up your day. EBS offers a bar menu featuring a selection of Deer Valley’s artisan cheeses and cured meats, hand-crafted at 8,100 feet. Eating should always be this much fun. 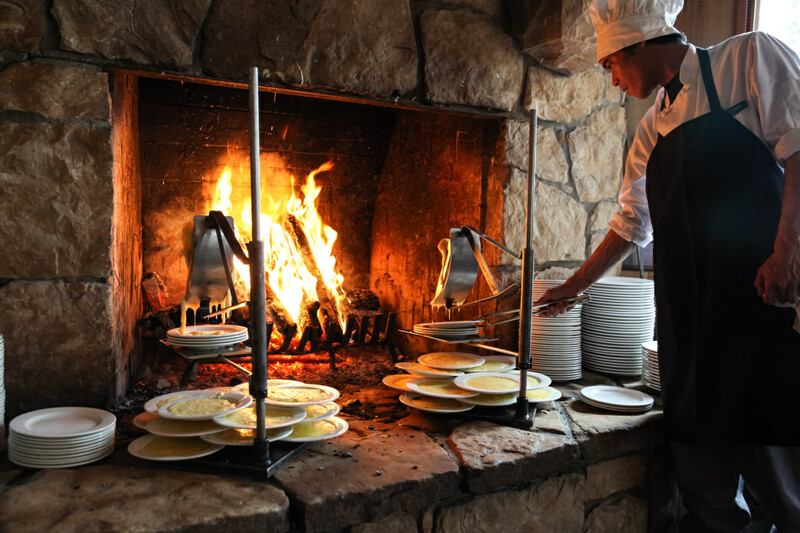 Fireside Dining is one of Deer Valley’s iconic experiences. If there is one dining experience at Deer Valley you cannot miss, it is the aptly named Fireside Dining. Adopting a staple of the European Alps, this restaurant prepares several of its courses fireside. If you’re a cheese lover, the raclette entrée is a must. You’ll be offered steamed new potatoes, house-marinated pearl onions, cornichons, cured Italian and Swiss meats, and freshly baked baguettes and a server provides freshly melted cheese from the fire. Deer Valley’s Seafood Buffet offers an overwhelming number of choices. 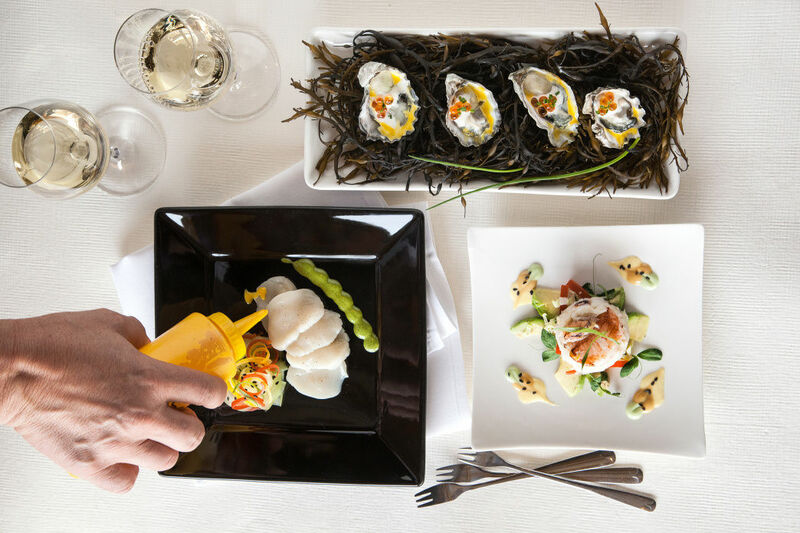 Seafood might not be the first thing that comes to mind when visiting the landlocked state of Utah, but the Seafood Buffet at Deer Valley will change that. 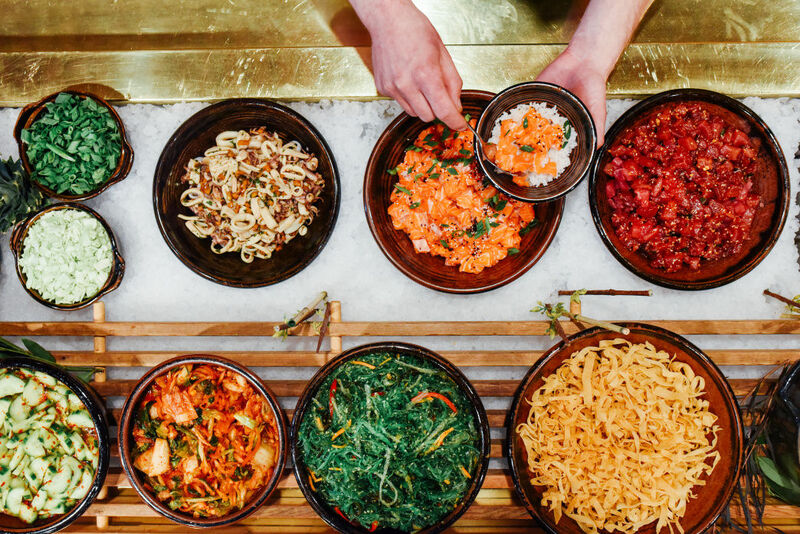 A trip to the Poke Bar will be enough to convince you. There you’ll find spicy tuna, Thai green curry calamari, freshly prepared ceviche, and avocado crab salad, just to name a few. You could spend hours here, but then you’d be missing out on the crab legs… There’s also a carving station for those who prefer their food hot, featuring prime rib and the catch of the day. The Royal Street Café is often recognized for its fantastic lunch options, but its dinner menu is not to be overlooked. A perfect combination of sweet and savory, the Niman Ranch Mole Beef Short Rib Tacos are a go-to for a satisfying meal. Encased in fresh white corn tortillas and topped with grilled pineapple salsa, pickled red onions, shredded cabbage, red chile mayonnaise, and guacamole, these tacos are sure to bring a smile to your face. Winter Vegetable Hash Recipe from Deer Valley Resort on Vimeo. Located in the Lodges at Deer Valley, The Brass Tag takes a contemporary spin on mountain classics in an approachable atmosphere. Suitable for the whole family, this menu offers something for everyone. We fell in love with the Winter Vegetable Hash, which features perfectly paired root vegetables with snow peas and a balsamic glaze. The Mariposa is one of the top-ranked restaurants in Utah. 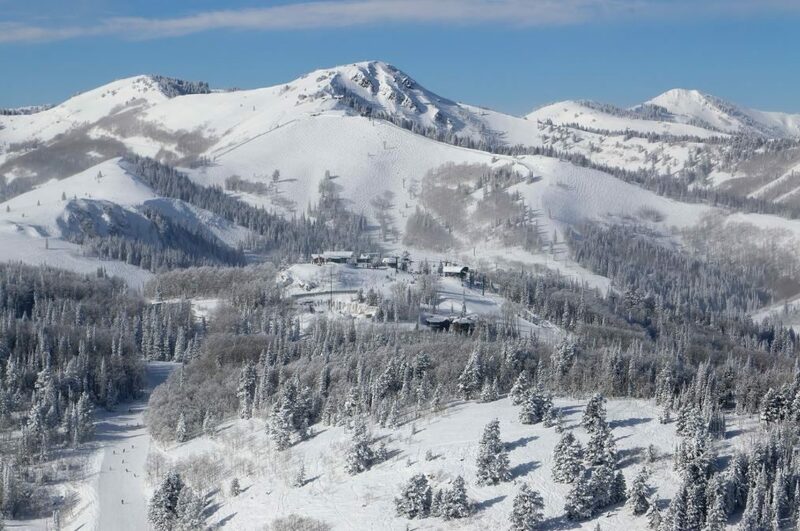 The Mariposa is one of Deer Valley’s most highly acclaimed establishments, and it’s been named Utah’s top restaurant for food and service by Zagat. Its menu is built around a small plates concept, so you’re no longer limited to enjoying the flavor profile of a single entrée. Do not miss the Pan Roasted Sea Scallops, which feature oak-smoked bacon, chive risotto, gala apple, basil and frisée salad served with a granny smith beurre blanc. They’ll melt in your mouth. Bonus: For dessert, try the Pear Schichttorte—don’t ask us how to pronounce it— all we know is it has a pinot noir poached Bosc pear and a citrus pickled d’Anjou pear within a 20-layer almond torte. If it were socially acceptable, we’d lick the plate.